➖ Cocktails from £5.50 all night long! Expect to hear : Daddy Yankee/Don Omar/Shakira/Bad Bunny/J Balvin/Maluma/Nicky Jam/Beyonce/Rihanna/Jay-Z/Drake/Cardi B/Major Lazer/David Guetta/Dua Lipa and many more! 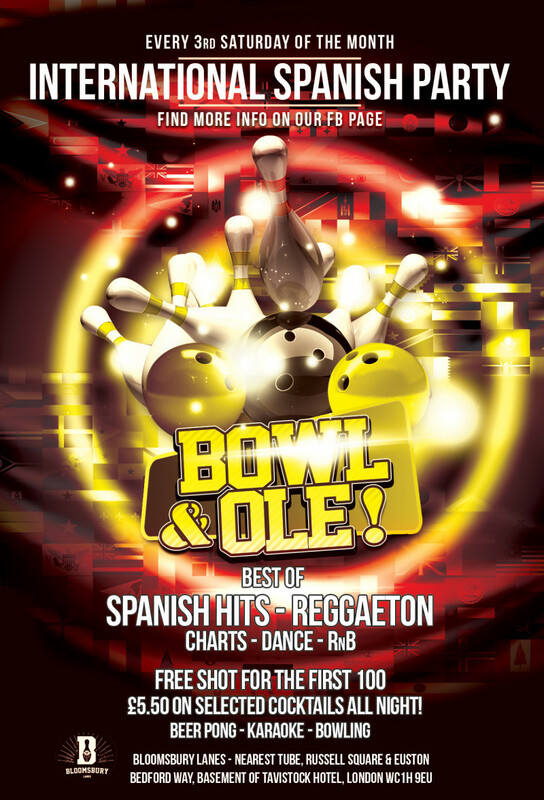 While you enjoy dancing the best songs from the past and today the venue has bowling lanes next to the dance floor, beer pong table, pool table, karaoke booths, photo booth to remember the night with your friends and for those who want to start early, the venue have a diner which has one of the biggest pizzas in town!